Yarn Dyed Stripes, Yarns are dyed then woven into a striped configuration. Touchtex� Technology, Superior color retention, soil release and wickability. 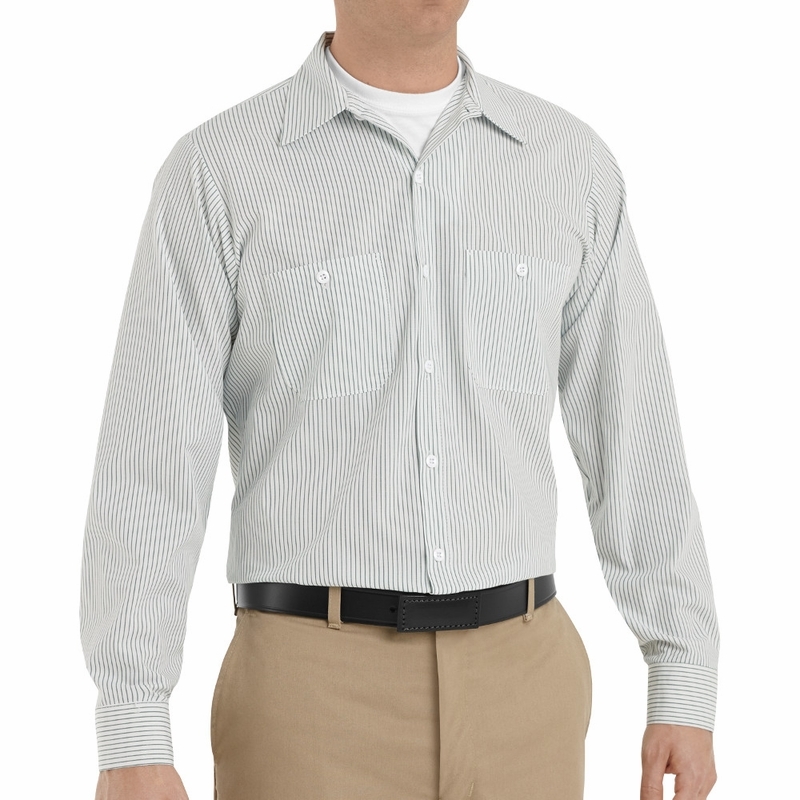 Sleek stripes and a lined collar add style to a job done right. With our reliable Touchtex� technology, color retention, and soil release, the yarn dye stripes stay fresh and bold - just the way you like it. Blend: 65% Polyester / 35% Combed cotton. Finish: Pre-cure durable press with soil release & wickable finish. 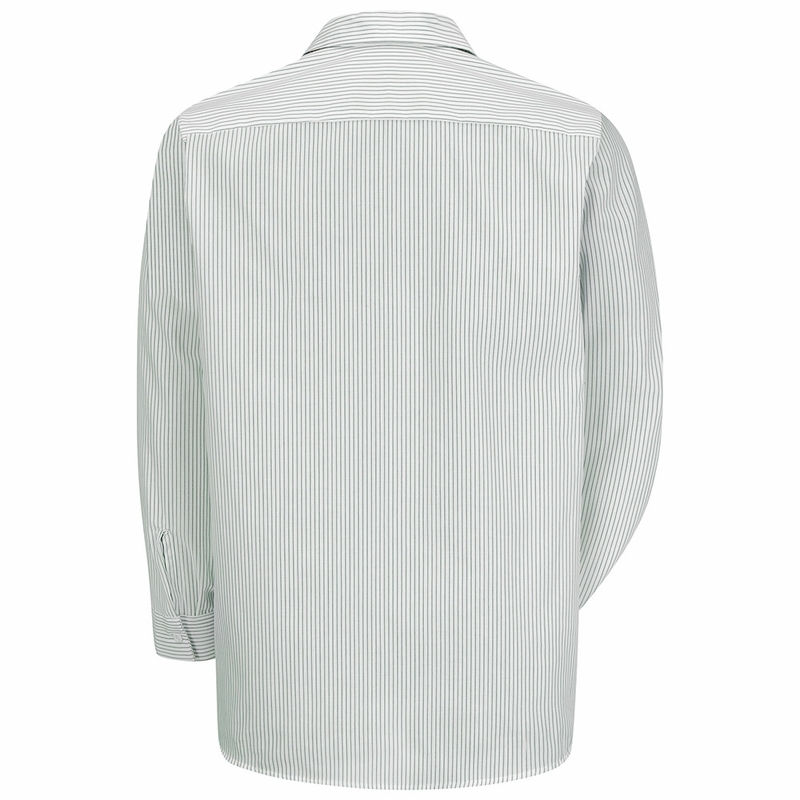 Care: Home or Industrial wash.
Closure: Six tortoise shell buttons with vertical buttonholes, button at neck. 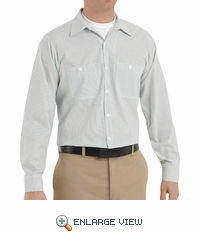 Collar: Two-piece, lined, banded with stays. Pocket: Two button-thru hex style pockets with angled bartacks, bartacked pencil stall in left pocket. Other: Separate two-piece yoke. Yarn-dyed microchecks. 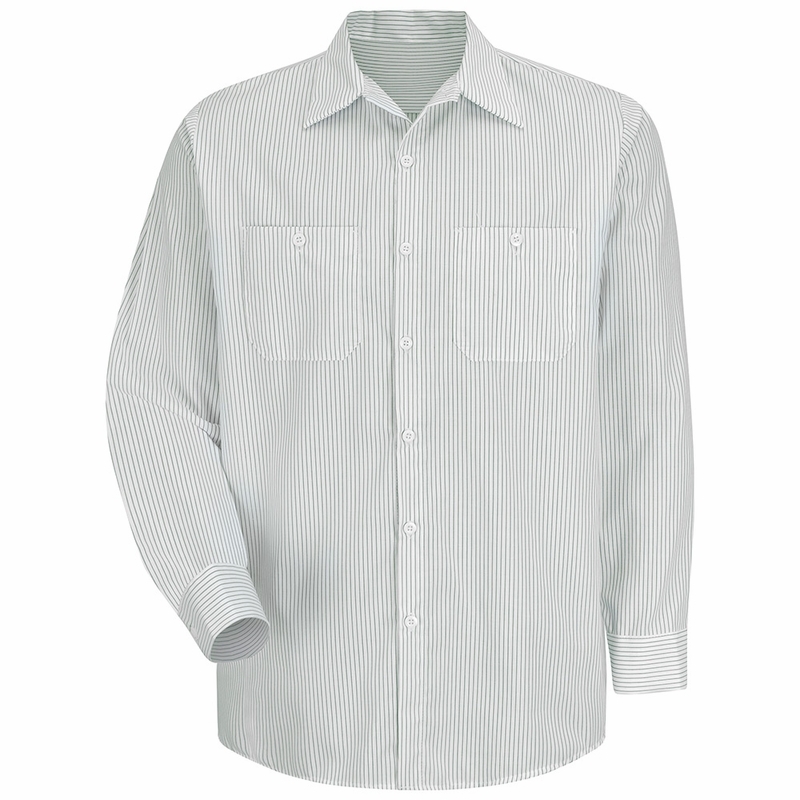 Soft hand poplin. LN Regular Back Length plus 1.5"
XLN Regular Back Length plus 4"